Hilti GX 3 Gas-Actuated Fastening System | Advanced Coatings Inc. 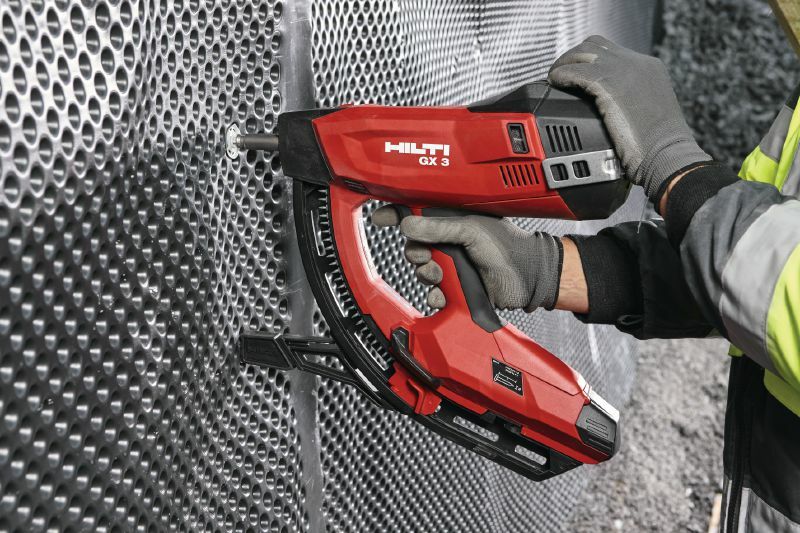 The new innovative GX 3 Nail Gun manufactured by Hilti is designed for Exterior Waterproofing Contractors, Interior Finishing Trades and Electrical Contractors. 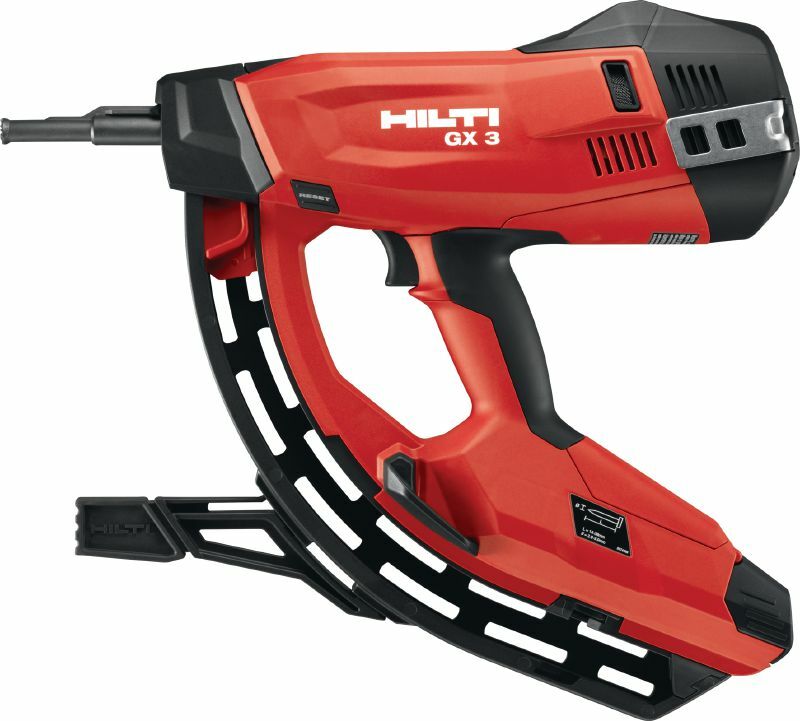 With its comfortable design, reliability and efficient features, the GX 3 provides fast and effective fixing of drywall track, ceiling trim, dimpled air-gap waterproofing membranes etc., to steel, concrete and masonry. GX 3 comes with attachable support leg, tool support, nail punch set, cleaning cloth and operating instructions manual, supplied in an impact-resistant tool case. Advanced Coatings offers the best pricing on the GX 3 tool along with ¾” and 1 ¼” fasteners. Please contact us to discuss our various pricing packages and find out how to receive a free GX 3 tool with a bulk fastener purchase.